Dinner at Paris 1930 in Taipei. 1998 Krug - a little yeasty, a little ripe, nice and very ready to drink. Good acidity balance. Opened up a lot more with time, with some marmalade and Chinese licorice (甘草). 1990 Vogüé Chambolle-Musigny Les Amoureuses en demi-bouteille - meaty, slightly smoky, ripe and a little pruny. A little sweet fruit, and perhaps a little burnt around the edges. Nose was lovely but the body needed time to develop. Still very youthful. 1975 Trotanoy - smoky, tea leaves, dried herbs, a bit alcoholic at first. A little animal, brett and coffee. Very fragrant. Nice and sweet, very smooth on the palate. A delicious wine. 1995 Gaja Costa Russi - smoky, minty, good amount of fruit. Still pretty hard and took some time to open up. Egly-Ouriet Brut Rosé Grand Cru (disgorged November 2009) - nice nose of strawberries. Dinner at Gyodoike (魚道生) in Taipei. Rihaku Daijinjo Tobingakoi (李白大吟釀斗瓶囲い) - one of my favorite sakes. Sweet mid-palate, dry and spicy on the finish, but at the very end of the long finish one feels sweet again. A pretty complex sake that took time to open up to reveal its tropical fruit and floral notes. Drinks at Max Bordeaux/Wine Gallery and Cellar (美樽廊). 2008 Calon-Ségur - very sweet, with dates, oak, dried herbs, vanilla and coffee on the nose. Pretty decent. 2008 La Lagune - smoky, dried herbs, vanilla and oak on the nose. More classic claret and not as sweet. Later I realized that I had actually tasted this wine at the UGC tasting in Hong Kong earlier this year. 2008 Ausone - Alain Vauthier was busy when we turned up at his door in April 2009, so I never got to taste this wine. I decided that I owed it to myself to see what this tastes like. The nose was very open and approachable, typically sweet fruit with vanilla and oaky notes. Very fragrant. Not quite ready on the palate but one can see greatness in the future. Dinner at Mr. and Mrs. Bund in Shanghai. 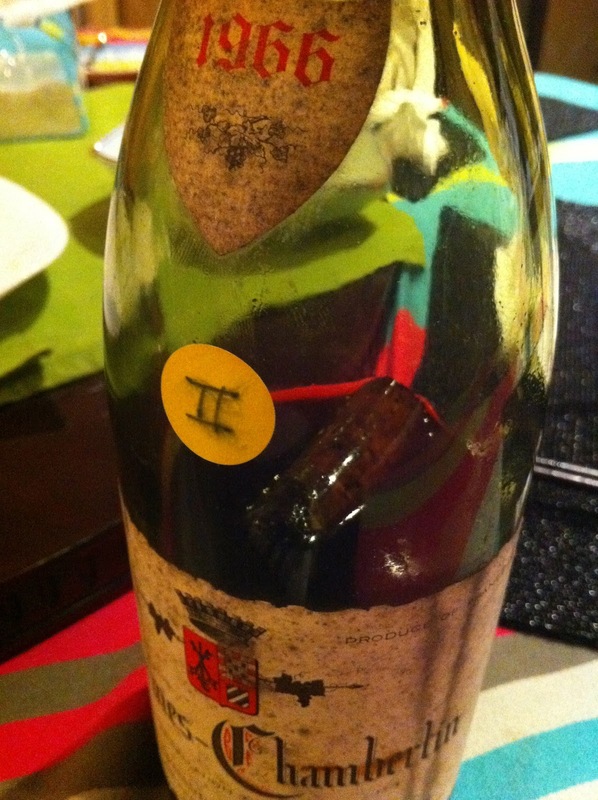 2001 Beaucastel - the nose took a few minutes to open up, and showed lots of ripe fruit, oak and other wood scents. Sweet and lovely. Late night tasting at a generous friend's home. 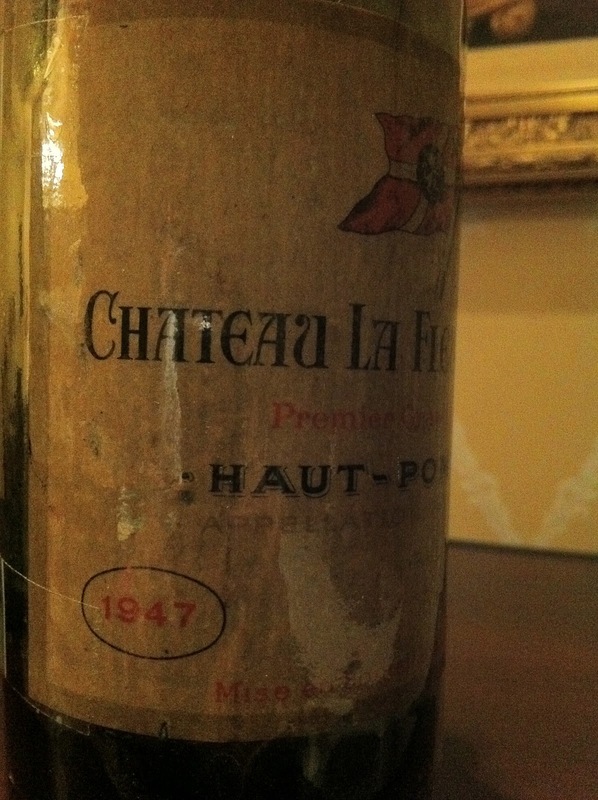 1947 La Fleur-Petrus - I literally drank the sediment from the bottle, as this was a leftover from the dinner my friend attended earlier in the evening. The nose had plenty of salty minerals, soy sauce, along with plenty of fruit and some smoke. My friend reported that this was a stunningly beautiful bottle. 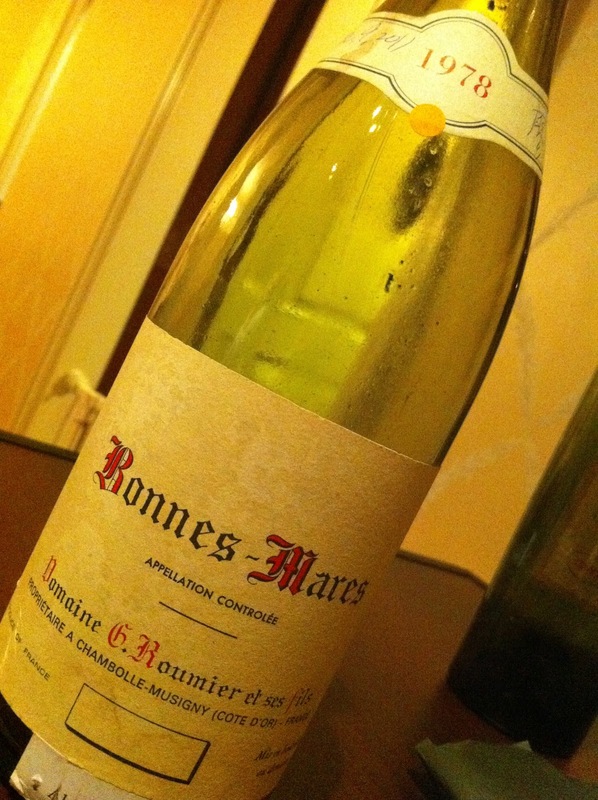 1978 Roumier Bonnes Mares - another leftover bottle, but I didn't get the dregs this time. Nose was initially dusty and dirty, but once that was gone the wine showed a beautiful fruit core. Very elegant and feminine. 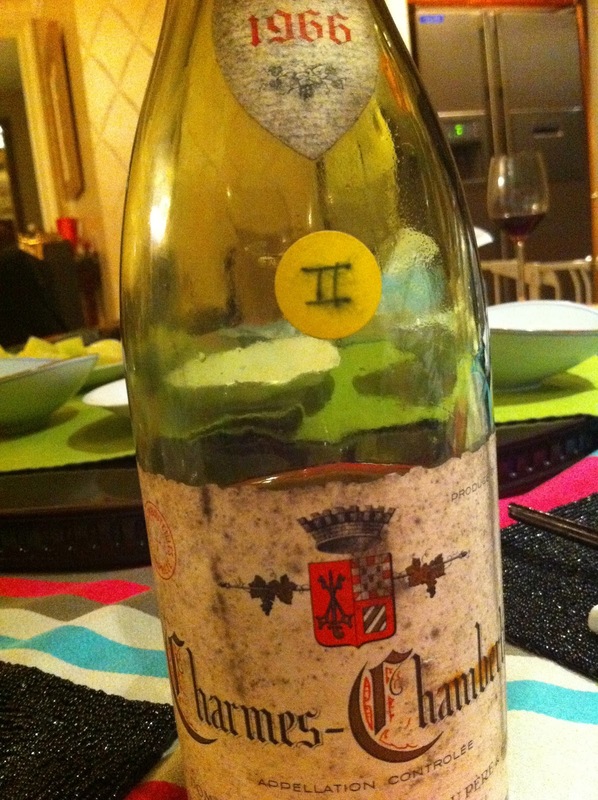 1966 Rousseau Charmes Chambertin - plenty of fruit. Nice and ripe, a little prune. With further aeration the floral characters emerged, making this a beautiful and elegant wine. There was a little salty mineral on the palate. Later on the nose suddenly turned medicinal like hospital disinfectant, but this faded. The bottle of Rousseau was the reason why we had the late night tasting... The wine arrived via air shipment and apparently the change in air pressure pushed the cork in a little, causing some slight leakage. My friend decided the bottle should be consumed right away. The cork was indeed very loose, and dropped into the bottle with the slightest pressure in the attempt to extract it. It was decided that wine would not be decanted, and the cork was left floating on the surface for the remainder of the evening.